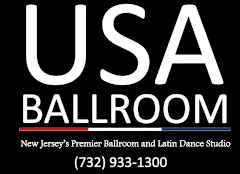 USA Ballroom is New Jersey’s premier Ballroom and Latin dance studio. Located in Monmouth county, we specialize in teaching the art of dancing to adult singles and couples. Our studio features an exciting team of young professionals and a vibrant, lively atmosphere. We strive to provide detailed and thorough instruction while also delivering the highest quality customer service. We are locally owned and understand the importance of each and every team member to the success of the studio. If you are looking to join a fun and exciting team with a passion for dance then this is the job for you. People who would like to become Dance Instructors. We are looking for fun loving, responsible, motivated people that have great customer service skills and a great personality! No prior dance experience is necessary, we will provide all the training needed. LOTS of opportunities for growth and professional development — we love to promote from within! Opportunity to perform / compete professionally. If you have a passion for learning, dancing, music, or performing and are looking for a fun career with a dedicated and hardworking team then Apply Today by sending us your head shot and resume`.